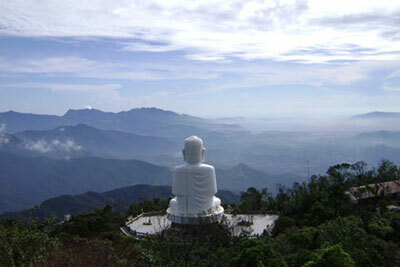 Introduction Located 40km from Danang, BaNa Mountain is 1,487m high over the sea level. In BaNa, there are four seasons in a day: spring in the morning, summer at noon, autumn in the afternoon, winter in the evening. Average temperature is from 17 to 20 degree Celsius. 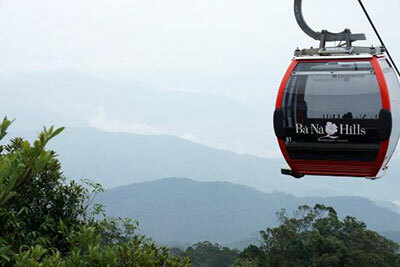 At 8.00am, depart from Vinh Hung Emerald Resort to the Mo Stream station on the foot of BaNa Mountain. Take the 20 minutes trip on the cable car up to the top. On the way we enjoy the beautiful sight of the Mo stream. 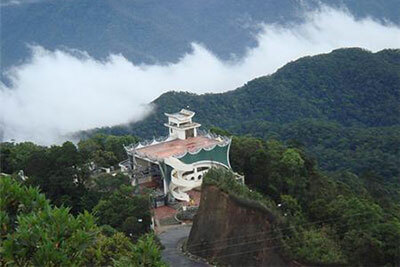 From the top of Ba Na Mountain you have chance to discover all the sightseeing of this tourist sites such as: the Old Pumelo Tree, Status of Great Buddha and Linh Ung Pagoda. After the lunch time, we discover the Mountain with Chain- Bridge, French Opera Theatre, Wine Cellar. At 2.00pm we take the cable car and return to the hotel. For reservations and enquiries, please contact us.